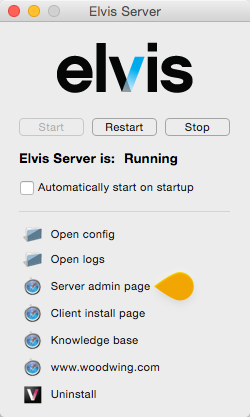 Managing Elvis Server is done through various administration pages (sometimes referred to as maintenance pages). For Elvis 6.16 or higher: The administration pages are available in the Management Console of the Pro client. 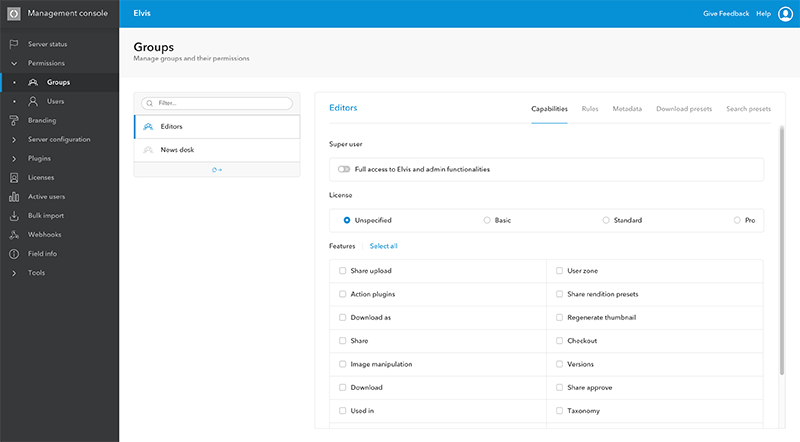 Figure: The administration pages in the Management Console. 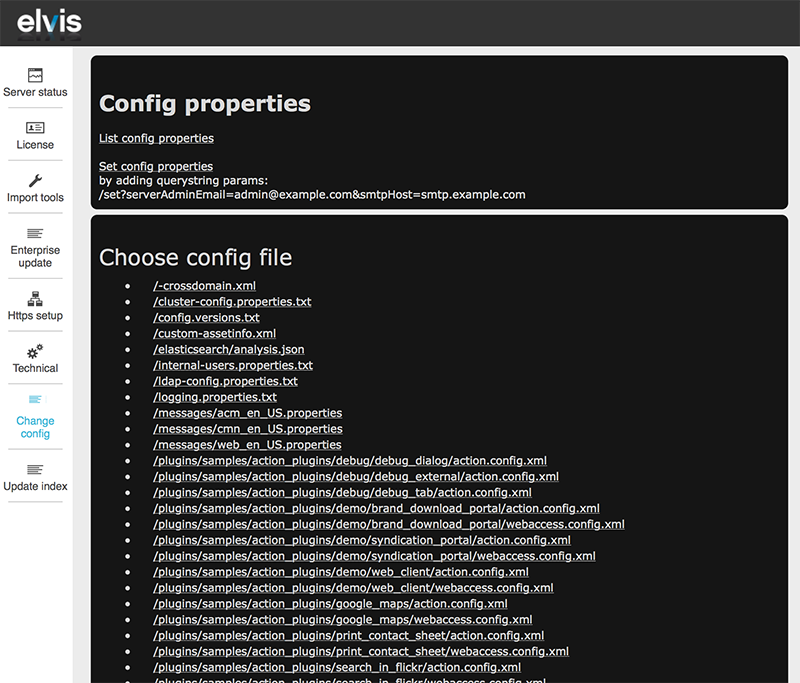 For Elvis 6.15 or lower: some or all of these pages are located in the Admin pages section in Elvis Server. The tasks that can be performed are listed below. 30 October 2018: Updated section 'Users and user groups' with a link to viewing active users. 5 September 2018: Updated section 'Enterprise integration' by adding a link to 'Setting up a trusted connection between Enterprise Server to Elvis Server'.